Jennifer Hyde enters her 15th season at the helm of the Florida State program as FSU’s winningest women’s tennis coach. Hyde surpassed Anne Davis (1980-86) with her 142nd career win on March 22, 2014, against NC State. Hyde has led the Seminoles to NCAA appearances in 11 of 14 seasons, leading the program to its first-ever Elite 8 appearance in 2018. With an exceptional list of accomplishments and milestones from her career at FSU, including an honor of ITA South Region Coach of the Year in both 2007 and 2011 and 2018 ITA Southeast Region Coach of the Year, Hyde looks to again guide the Seminoles deep into the NCAA Tournament again in 2019. The 2018 season was one to remember for Hyde and the Seminoles as they made it deeper than any team had before. Hyde led Florida State to their first ever Elite 8 and their first appearance at the NCAA final site since 2010. The Garnet and Gold also had their best regular season finish in the ACC since 2011 as they finished fifth with a 9-5 record, good for the most ACC wins in school history. Hyde led the Seminoles to their second and third wins ever over the Gators as she defeated them at the USTA National Campus and in the Second round of the NCAA Tournament. Their first meeting was in front of the largest women’s college tennis crowd ever (1,917) and was a part of the first every college tennis match broadcasted on the Tennis Channel. The Seminoles once again defeated Florida in Gainesville to make it to the Sweet 16. Florida State the knocked off Tulsa to make it to the programs first-ever Elite 8. Throughout 2018’s 21-9 season, the Seminoles knocked off seven ranked teams and earned plenty of awards. The 2018 Florida State women’s tennis team garnered two members on the All-ACC team – Carla Touly (first team) and Petra Hule (second team). Hyde won ITA Southeast Region Coach of the Year for her third regional coach of the year honor of her career and the team was honored with the ITA Southeast Region Community Service Award. In 2017, Florida State reestablished the program as contenders in the Atlantic Coast Conference en route to a 17-win season, the most since 2009. The Seminoles had the best season ever in doubles play, winning 20 team doubles points, the most in program history. All three doubles pairs finished the season ranked in the final ITA poll. The Seminoles earned a host of individual honors after a resurgent year. Junior Gabriella Castaneda was named All-ACC third team, while both Castaneda and senior Daniela Schippers made the All-ACC Academic team. After leading the team all season long, Schippers was named the ITA Southeast Region Most Improved Senior. Hyde has served on the ITA Southeast Region Committee for the past eight years and most recently served as Regional Chair for three years. Hyde was also selected to coach the USTA U18 Florida Section team, representing at the U18 National Team Championships. In July 2016, Hyde led Team Florida to a fourth-place finish in the prestigious event that regularly includes the top junior players in the United States. Last season, Florida State battled through an injury-plagued season to finish with a 14-13 record and a second-round finish in the ACC Tournament. Fifth-year senior Daneika Borthwick, one of the great players in school history, was named All-ACC for a fourth time, just the third Seminole to reach that feat of sustained excellence. Borthwick also was ranked as high as No. 31 in the country after a string of victories midseason against Top 50 competition. Borthwick also earned a trip to the NCAA Tournament singles draw for the first time in her career. In the classroom, the Noles won the Golden Torch for highest team GPA on campus. In 2015, the Seminoles posted a 16-11 record and reached the ACC Semifinals. During the year, the ‘Noles defeated five ranked teams, including No. 36 Notre Dame and No. 15 Miami in the ACC Tournament in Cary, N.C. In reaching the semifinals, the Seminoles reached at least the quarterfinals of the ACC Tournament for the ninth consecutive season. While the team was the first team left on the bubble for the NCAA Tournament, Hyde oversaw the continued development of Borthwick, who was named the ITA Southeast Region Most Improved Senior of the Year, and Gabriella Castaneda, who as a freshman led the Seminoles with 26 wins on the season. The Seminoles posted a solid 16-13 season in 2013-14 with ranked wins over five opponents, including an exciting 4-3 upset victory over No. 27 Arizona in the first round of the 2014 NCAA Championships. FSU finished eighth in the ACC regular season and opened the ACC Tournament with a 4-1 win over No. 64 Syracuse. FSU placed two players on the All-ACC team as Kerrie Cartwright earned second-team honors while Borthwick was named to the third team. The pair of Seminoles were an impressive doubles duo late in the season, winning nine straight matches from March 17 to May 9, with victories over No. 26 Yana Koroleva and Beatrice Gumulya of Clemson and No. 11 Julia Elbaba and Rachel Pierson of Virginia. Cartwright and Borthwick qualified for the 2014 NCAA Doubles Championships and were the first Seminole pairing to compete in the postseason since 2007. For the third time in school history and the second time while leading the Seminoles, Hyde led FSU into the 2013 ACC Championship match after defeating Wake Forest, Clemson and Virginia en route to the final against Miami. During that run, the Seminoles defeated the Tigers for the first time since 2001 in a match that saw over five hours of play. In addition, Borthwick earned All-ACC honors while helping the team to a 16-10 overall record. At the start of the 2012-13 season, Hyde led five Seminoles to the Riviera/ITA-All-American Championships – the most to ever qualify for the Malibu event in FSU history. The Seminoles concluded the 2011 season with an eight-match winning streak, landing the Seminoles back to the ACC title match for just the second time in program history. The first time occurred in 1994 when Hyde was an athlete on the team. During that span, FSU recorded the most successful weekend of play in program history by beating No. 3 Duke and No. 4 UNC in back-to-back matches to close out the regular season. Taking that momentum into the ACC Tournament, the Seminoles knocked off Wake Forest, No. 8 Virginia and No. 3 Duke for a second time as Hyde earned her 100th career victory in the process. In addition, the Seminoles jumped to No. 11 in the ITA National Rankings, breaking the previous high mark of No. 12 set by the 2007-08 team. Just one season earlier, Hyde led the Seminoles to perhaps the most successful season in Florida State history taking her team to its first-ever NCAA Round of 16. After being selected to host the first and second rounds of the NCAA Championship for just the second time in program history, both under Hyde, the Seminoles dominated North Florida and No. 17 South Carolina to punch their ticket to Athens, Ga., and to the highly coveted Round of 16. Hyde also watched her first ‘Nole earn ACC Freshman of the Year when Francesca Segarelli captured the honor in 2010. The 2007-08 season welcomed several firsts for the program with Florida State hosting the first and second round of the NCAA Tournament. The Seminoles reached a No. 12 national ranking, the highest ranking in women tennis program history at the time. With the help of big wins against top-ranked programs during the 2008 season, the Seminoles finished the year with an overall record of 19-7, the winningest season since 1999, ranking second on the all-time list at Florida State. Also, Hyde coached freshman Katie Rybakova to a top 20 national ranking in which Rybakova also received a bid to participate in the NCAA Singles Championships as a freshman. Hyde’s players have made seven appearances at the NCAA Championships in singles as well as three doubles pairs. Rybakova is one of two players in FSU history to qualify for the NCAA Championships three out of her four years (2008, 2009, 2011) in singles. Off the court, Hyde’s student-athletes have continued their brilliance in the classroom by securing the Golden Torch Award nine times since her arrival, which is given to the Florida State athletic team with the highest GPA. In addition, numerous Seminoles have landed spots on the All-ACC Academic team, All-ACC Honor Roll and ITA Scholar-Athletes list in Hyde’s 11 years as head coach. Both Federica Suess and Rybakova earned ACC postgraduate scholarships. Suess was awarded the scholarship in 2009 during her senior year, while Rybakova earned the honor for her fifth year in 2011. Hyde has gone on to coach six players that are currently playing professionally and three that are now college coaches. In addition to building the tennis program, Hyde has spearheaded a unique partnership with FSU Women’s Tennis and the FSU Student Veteran and military community with quarterly clinics and hit arounds with the tennis team and the Student Veterans on campus. This relationship is unique from any across the nation, and this outreach culminates with a competition every February against one of our nations Service Academies. This collaboration is unique to FSU Tennis and college athletics across the nation. Hyde and the FSU tennis team also adopted Tallahassee native, Grace kerwin. In June of 2013, Grace was diagnosed with Juvenile Dermatomyositis (JDM), a rare autoimmune disease, resulting in muscle weakness. Grace joined the Florida State team through a program called Team Impact, which places young kids with sports teams in an effort to ‘improve the quality of life for children facing life-threatening and chronic illnesses through the power of team’. 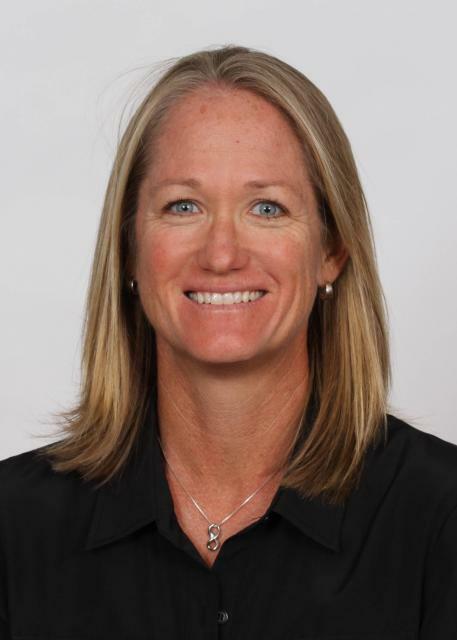 After graduating from FSU in 1995, Hyde began her coaching career as an assistant for the Seminoles prior to heading north to the University of Iowa in 1995. Hyde spent two years in the Midwest before returning to the south with an assistant coaching stint at the University of Alabama (1997-98). Hyde moved on to coach at the University of North Carolina in 1998-99 where she established herself as one of the best young coaches in the sport. With her assistance, UNC enjoyed one of its best seasons in program history, moving from outside all the national polls to a top-25 ranking and the school’s first NCAA tournament berth. In 1999, Hyde accepted her first head coaching position at the University of Houston. Hyde spent five increasingly successful years with the Cougars before returning to Tallahassee, where she first started her collegiate tennis career. The Alpharetta, Ga., native posted an impressive career with the Seminoles establishing herself as a four-year letterwinner, NCAA Tournament participant (1994) and ACC flight champion in doubles alongside teammate Jenny Graf. Hyde captained the 1994 Seminole squad whose No. 17 ranking previously stood for sixteen years as the highest year-end ranking until 2010’s No. 14 finish. Hyde earned a Masters Degree from Florida State in Sport Management in 2011.